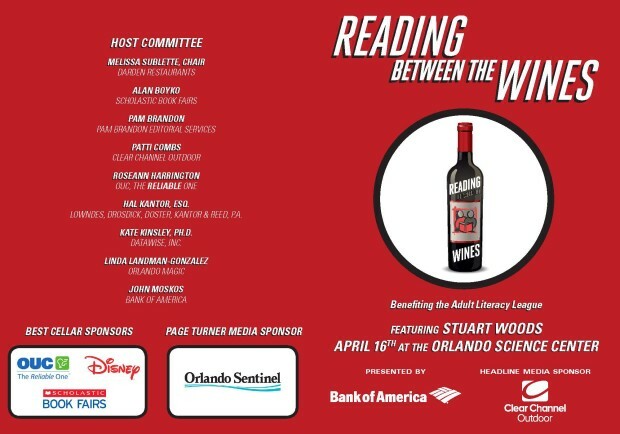 Wednesday, April 16, 2014, 6 p.m.
Reading between the Wines is the Adult Literacy League’s premier fundraiser and, thanks to our food and wine vendors and our sponsors, 100% of the proceeds goes directly to the organization. 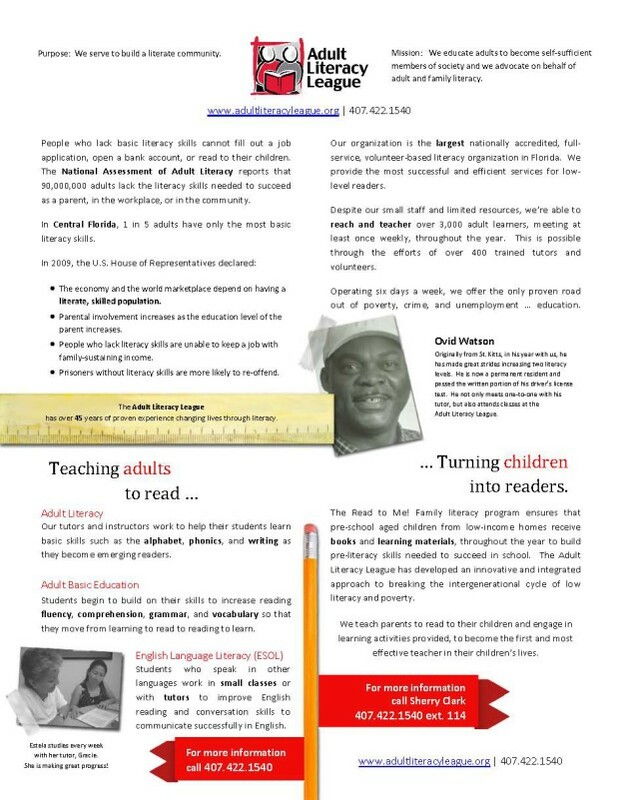 As the largest fundraiser the Adult Literacy League holds, the event raises up to 15% of the organization’s total budget each year. 2014 marks the 7th annual Reading between the Wines, hosted for the second year at the Orlando Science Center, and will be presented by Bank of America for the fourth year running. 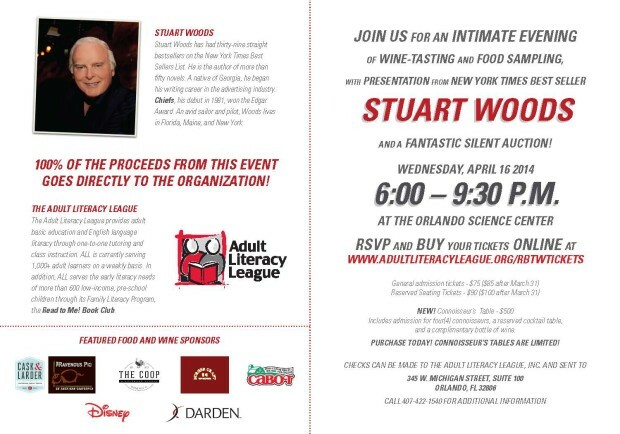 This year’s intimate evening of wine-tasting and food sampling features an in-depth presentation by New York Times best-selling author Stuart Woods and a fantastic silent auction! Stuart Woods has had thirty-nine straight bestsellers on the New York Times Best Sellers list. He is the author of more than fifty novels. A native of Georgia, he began his writing career in the advertising industry. Chiefs, his debut in 1981, won the Edgar Award. An avid sailor and pilot, Woods lives in Florida, Maine, and New York.